Here is a list of the most famous piano performers of classical music of the 20th and 21st century. You will also be able to view some very rare recordings and videos of the greatest classical pianists. Enjoy their style, the expression and study their technique. All these famous pianists have left us with a treasure of performances to be inspired by. Lets face it, it would be impossible to mention every brilliant and celebrated pianist that ever existed. But here is a list with at least some of the most famous and brilliant pianists during the 20th and 21st century. The list below is organized in a chronological order, with active pianists in the end. Tip: If you double click on a name, right click and select "search for (the performers name)", you can easily find out more about each individual performer! Who are your favorite pianists? If you feel an important classical pianist has been left out, feel free to write about it in the comments form below. The Art Of Piano- Great Pianists of the 20th Century. 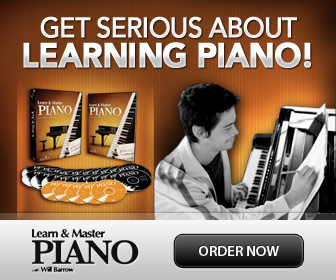 This video is must see for all pianists. Be amazed and inspired!